Twenty seven years ago Wayne E. Nance's life was completely out of control. He weighed 305 pounds and smoked two packs of cigarettes a day. His marriage was dissolving and his finances were bottoming out. Wayne reached inside himself and discovered that none of the three pillars of life - health, finance and relations - could be balanced without the other. Today, Wayne is a trimmed-down success story. 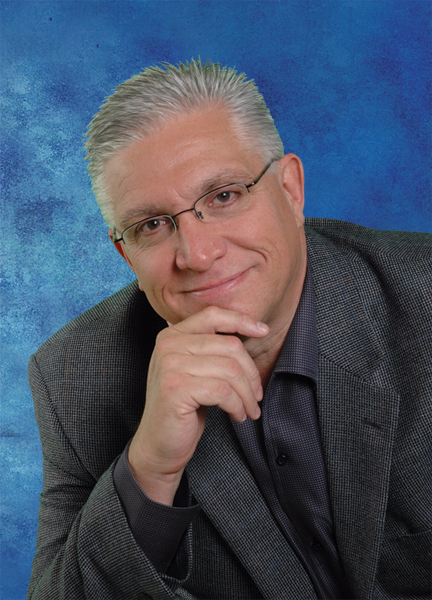 He is a sought-after speaker and author on managing your life to its fullest potential. It's a power, he says, is within us all and one that we all can harness starting with a 3-minute commitment. "There is a crisis in America. More than 85% of Americans are technically broke through interest-bearing debt, 67% of us are considered obese and 51% of families are divorced. These are not isolated facts, but are connected. Through my survey, you can find the connection." Wayne was a financial advisor for over 25 years, but his passion was researching this link between obesity, financial strain, and relationship meltdown. This brought him to the creation of Real Life Management(TM), a company dedicated to providing the education that isn't taught in school or at home on weight, money and relationships, and how these three main components of life are connected. He's carried out the company's mission through his acclaimed books Mind Over Money and Liten up for Life, his Real Life Management(TM) DVD Educational Series, national seminars, and media appearances. All of this has led to the forthcoming release of his new Simon & Schuster book Thin, Rich and Happy: Take 3 Minutes to Start Your Real Life Management Plan. "For seven years, I studied with stress psychologists, sports nutritionists and a personal therapist developing and researching these findings," says Nance. "What we learned is that lifestyle issues stem from inborn attitudes and beliefs that account for 80% of our personal choices - attitudes and beliefs most of us don't even realize we have. To really make a difference, we don't need to change ourselves, only alter our attitudes." Wayne soon left his successful career in the financial industry to follow his passion of educating businesses and families on the ways attitudes about our weight, money and relationships are interwoven. Born and raised in Texas, Wayne still resides in the "Lone Star State" with his wife, Shannon, and three children, Christel, Melissa and Kara. His "ABC's of Real Life Management(TM)" program is currently utilized by top corporations, organizations, institutions and church groups throughout the United States. There isn't a topic his Real Life Management(TM) program can't address. View Wayne Nance and then book Wayne for your next event.